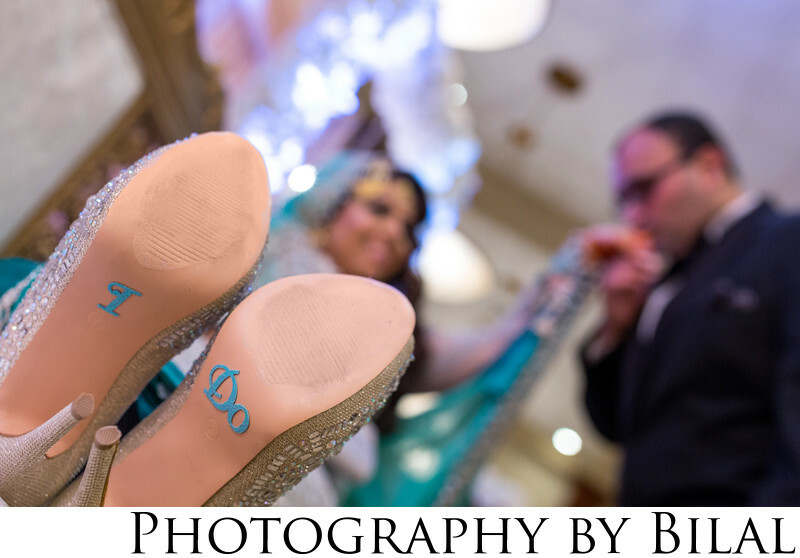 The bride had asked for a picutre of her shoes, so I thought why not get a little creative and add the couple as a background element. This shot came out exactly as I envisioned. Sometimes, you just need to think outside the box to get a unique shot. This wedding venue was the South Gate Manor in Freehold, NJ. Location: 260 South St, Freehold, NJ 07728.